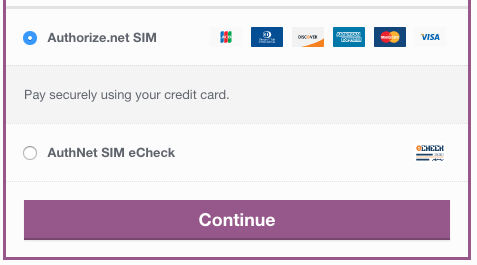 WooCommerce Authorize.Net SIM provides a PCI-compliant payment method for accepting both credit cards and eChecks in your WooCommerce store. 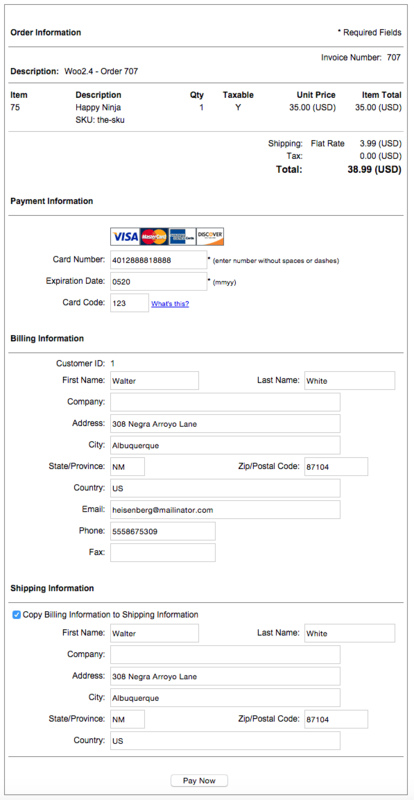 When customers check out on your site, they can select credit cards or eChecks, then continue to payment. They’ll be taken to a payment page hosted on Authorize.Net’s secure servers, eliminating your PCI compliance and security burden for handling payment information, as payments never touch your site’s server. Customer details, such as name and address, are sent to the form to make completing payment as fast and easy as possible. 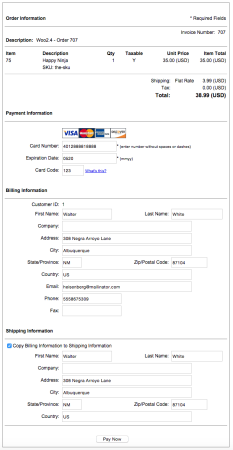 Once the payment form is submitted, customers are automatically redirected back to your site to view the “Order Received” page.